Today, companies face the challenge of producing more by spending less. 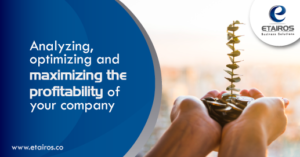 In the process of growth, companies are looking for different options to optimize their processes, in such a way that this optimization leads to a reduction of costs and that the company operates according to the definition of processes that is carried out and its profitability is maximized. Inefficient processes will never generate the expected results, even though when making considerable investments in resources, technology, time and effort of the collaborators. The optimization of processes is a constant task that must be carried out in companies, where depending on the process to be optimized, the benefits obtained will be. If the optimization of the processes is done correctly, a reduction of costs, time and re-processes will be generated for the company that will mean better results. All the activities of the different procedures that make up the process, inputs and outputs must be identified and known. Elaborate process flows is a valuable source of information that allows knowing all those involved in the process and what are the processes to optimize. One must think, for example, of processes that generate high costs, that are affecting the products or services or that are affecting employees. The matrix must contain information on the responsible activities, the flow of information that travels between the processes, the time and costs incurred during the development of the activities, among others. To prepare the diagnosis, it is required to adequately and completely fill the analysis matrix, since this allows to identify the strengths and opportunities for improvement during the development of the process. Can the process be carried out in a better way? How many resources do you need? Where are bottlenecks in the process? Answering these questions will make it possible to identify tasks that are dispensable and that initially seemed vital. For the elaboration of the process optimization action plan, it is of vital importance to focus on those improvement opportunities that were identified during the elaboration of the diagnosis. It is very important for the optimization of the process that the changes are implemented or adopted from the beginning and that all those involved apply the required changes. The correct definition of the management indicators determines whether the action plans have had the expected results and benefits and whether the improvements proposed were positive or not. The processes that have been tested and approved must be automated and the results can be seen. 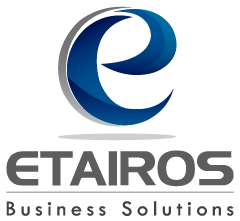 In Etairos Business Solutions SAS we provide support in the mass use of technological tools so that your organization automates the processes and optimizes your return on investment. Contact Us.